Keeping good company is as important as life. It enhances the quality of life, thinking and the soul’s quest for Atma Nirvana. Hey Supreme Being, kindly let me know about the importance of Satsang. Lord Vishnu smiled. 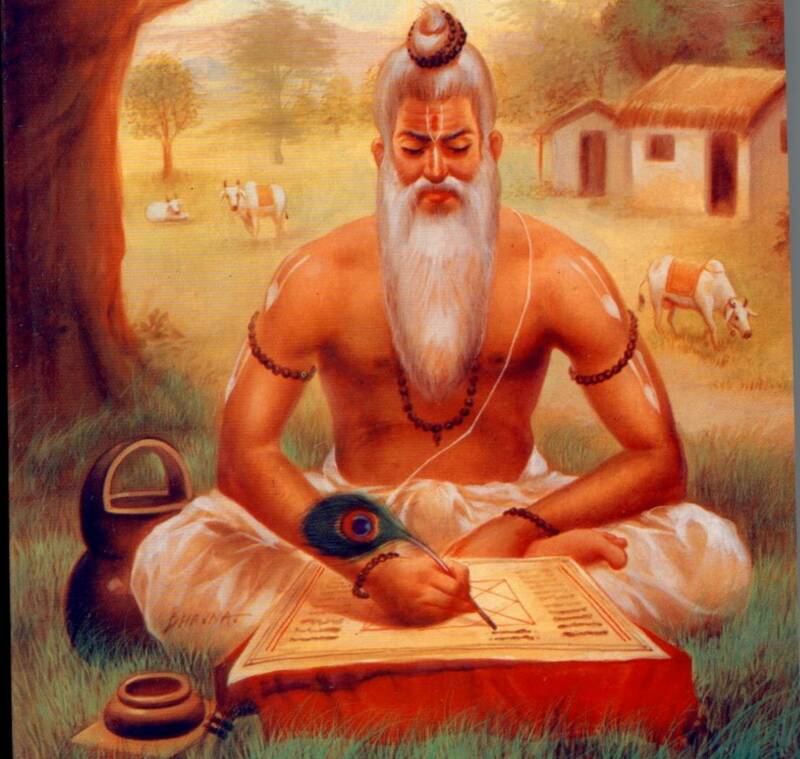 He knew that Narada, the son of Brahma, is a fountainhead of knowledge; a reference point, a Google of yore. But Narada, the travelling musician and storyteller, was asking the question for the benefit of others. After a while, Lord Vishnu said: Hey Narada, go to Badari. There you will find a worm squirming on a Peepal (sacred fig) tree. Go near its small ears and ask this question on the importance of Satsang. Narada was a bit taken aback. Did a worm on a Peepal tree in Badari have the answer to such a profound question? Anyways, Narada, obedient as he is, went to Badari. But behold, there were so many Peepal trees out there. So it took some time for the sage. At last, he found a worm slowly making its way up the bark of a Peepal tree. Sage Narada went close to it and asked: Oh little worm, can you tell me the importance of Satsang. The worm stood still for a few seconds and dropped dead. Narada was stumped. He rushed to Lord Vishnu and told him what happened. The Lord smiled and said: Do not worry or be alarmed. Take another chance. This time, go to Ayodhya. There you will find that the cow of a farmer is about to deliver. As soon as the delivery takes place, ask the question gently into the ears of the calf. This time, Narada did not forget to ask for the landmarks to the house of the farmer. So, the sage went to Ayodhya with songs on his lips praising Lord Vishnu. The farmer in Ayodhya was astonished to see Sage Narada at his doorstep. After paying respects and making the sage comfortable, the farmer asked Narada if there was anything he could do. The farmer was sure that Narada never comes without a mission to be accomplished. Narada smiled and said: I was told that a cow in your yard is about to deliver. Farmer: Oh sage with a divine vision, you are right. This cow is my favourite and it had not been delivering for long. Now it is due for delivery any time. Narada was happy. And as the farmer had predicted, the cow delivered a beautiful calf at dawn the next day. Narada: Oh, blessed farmer, can I take the calf in my hands? Farmer: Great saint, please do so and bless the calf and her mother so that I can supply milk to the entire village. Sage Narada took the calf in his hands and cuddled it for a while even as the little one looked at the sage with wide and beautifully opened eyes. Then the singing saint took the calf to closer and whispered in its erect ears: Little one, do you know of the importance of Satsang. The calf gave a long glance at Narada and dropped dead. The farmer and his family were stricken by grief, but they could not say a word as they had immense respect for the saint. An embarrassed Narada told the farmer that he was sorry for what happened and apologised before making a quick exit. Oh Maha Vishnu, has the post of Lord of Death fallen vacant that you are sending me to end the lives of living creatures? Vishnu liked the hidden sarcasm and controlled anger of Narada. He smiled and told Narada: This time, go to Kashi. There the Queen of Kashi is expecting her first child. No my Lord, earlier I was responsible for the death of a worm and a calf. I do not want to be the terminator and play the role of Kamsa to a new-born future queen or king of Kashi. Again, Vishnu smiled and said, No Narada, take my word. Everything would be fine. You will find an answer, but one thing, you should ask the same question. With great reluctance, Narada descended to Kashi. There he found the entire kingdom in a festive mood as the queen was scheduled to deliver her first child after failing to conceive for a long long time. The King of Kashi came to know of Narada’s arrival and rushed to receive the Sage with full honours. Said the King: My kingdom is indeed blessed with your arrival and that too when I am expecting my first child, the future ruler of Kashi. 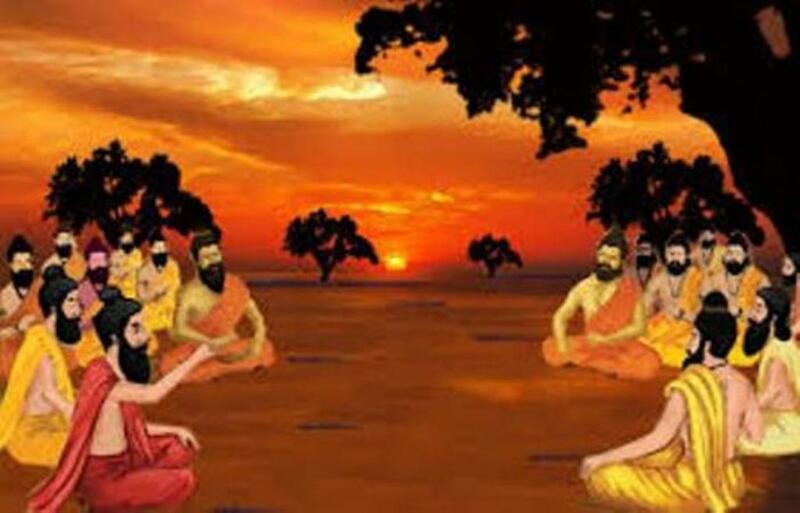 Don’t Miss: Did Brahmins Of Vedic Period Eat Beef? Narada hid his worries and embarrassment and went to the palace. The next day, the queen delivered a lovely little female child – the empress of Kashi. Everybody was thrilled and the whole kingdom burst in joy and festivities. The King approached Narada and asked him to bless the little princess. With great trepidation, Narada took the child in his arms. The little princess looked at Narada and smiled even as the King and Queen were amazed. Usually newborns cry, but here was the princess letting out a beautiful smile. Oh, beautiful princess, the future ruler of Kashi, do you know the importance of Satsang. The princess stopped smiling, and there was absolute silence. Narada’s heart skipped a few beats. What was happening, he wondered. Oh, revered Saint, two births back, I was a little worm, and then a calf. But with your gracious touch and presence, I was blessed and my rebirth as the princess of Kashi was fast-tracked. This is the effect of Satsang. I bow before you, Sage Narada. My pranams. Nobody, expect Narada, could hear the little Princess speak. The King and Queen and all the noble men and women assembled were bewildered because all that they could see was the little princess lying still and Narada standing silently. As soon as the Princess stopped speaking, she let out a huge humanly cry and the entire Kingdom erupted in joy once more. With tears of joy rolling down, Narada blessed the little one and handed over the princess to the King. He went straight to Vaikunt and fell at the feet of Maha Vishnu and said: Oh Lord, I have the answer now. I am deeply blessed. Even science acknowledges the benefits of good company. Its nature and nurture at work. You are born with a set of genes which characterises your behaviour. You cannot change that. But nurture, or Satsang can modify the genes that spell your character. You cannot change your genes, but you can modify the expression of your genes through Satsang. You thus attain inner peace that will help you in your spiritual journey towards atma nirvana. The three births in the story also have a meaning. Each time you come in contact with an attained soul, one of your negative characters dies to be reborn as a refined positive one. Narada’s journey also has significance. Many learned souls or people full with positive vibes fail to convey or transmit it to others. One must endeavour to uplift others and help them climb up the ladder of divine quest. It is not enough if one just appreciates the noble qualities in others. One must follow their footsteps atleast once a week. Seek Satsang and enhance the quality of life. Shankar Raj is a senior journalist with more than 30 years experience, mostly with The Indian Express and The New Indian Express. He was the Editor for Karnataka and Kerala editions of The New Indian Express. He is now the Managing Editor of the Nyusu Digital Media Private Ltd. Bengaluru. He hails from Guruvayoor, Kerala. He is grandson of late Vakil Chathu Menon from Guruvayoor and son of late Vengara Prasanna and late K. Rajasekharan. He is a disciple of Anjam Madhavan Namboodiri of Guruvayoor. After schooling from Sainik School, he did his college education in Guruvayoor and Thrissur, Kerala. He also obtained a Bachelor’s Degree in Law from Law College, Ernakulam, Kerala.